Isaac Asimov supposedly once said “The most exciting phrase to hear in science, the one that heralds new discoveries, is not ‘Eureka’ but ‘That’s funny…’”. Indeed, many scientists have experienced this notion that something in their data is so puzzling, so difficult to explain that they desperately want to find out more about it. This is also the spirit of exploration that we at the RUB Chair for Chemistry Education hope to install in future scientists. 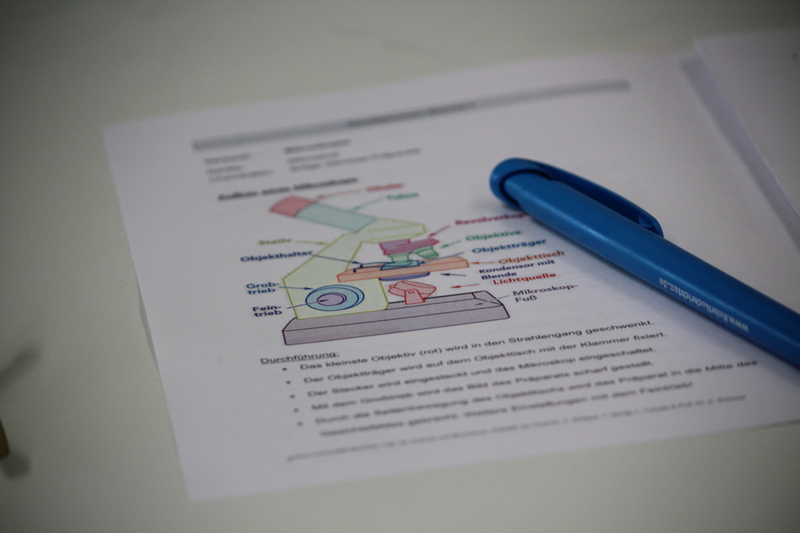 And this is the aim of the one-day project “High Resolution – focus on research” that runs since 2015, in cooperation with RESOLV, at the Alfried Krupp School Laboratory. There, students should think and discuss about methods and challenges of scientific inquiry, experience them first hand and also look over the shoulder of real scientists. These are high expectations, but how does the project work in practice? 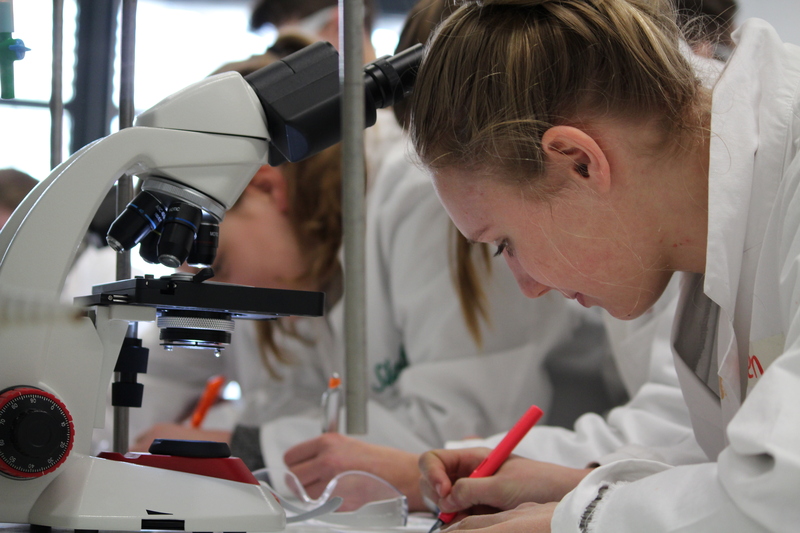 Students – usually a class of 14 to 16 year-olds – and teachers arrive at the Alfried Krupp School Laboratory at 9 am. They are welcomed by a member of the science education staff. First of all, they get an introductory example on the early stages of systematic science – 18th century Joseph Priestley’s research on air. The gap to the 21st century is bridged when the students discuss how Priestley would present his findings today. Then they are introduced to JoVE, the Journal of Visualized Experiments, where real scientists publish their papers as videos. 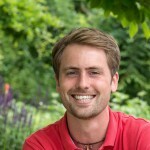 The big take-away from this introduction is that scientific inquiry is not only about finding things out, it is also about communicating your inquiry to other people. With this in mind, the students enter the laboratory at 10 am. They learn about the methods and the aims of scientific inquiry. They get training in using chemiluminiscence and microscopy to investigate cells. They then develop their own research questions about various plants, they carry out their investigations and have to come up with their own conclusions. Most importantly, once they found something interesting, students are asked to shoot and edit a video on their inquiry using tablet computers. Just before lunch, the final take and cut have to be done. 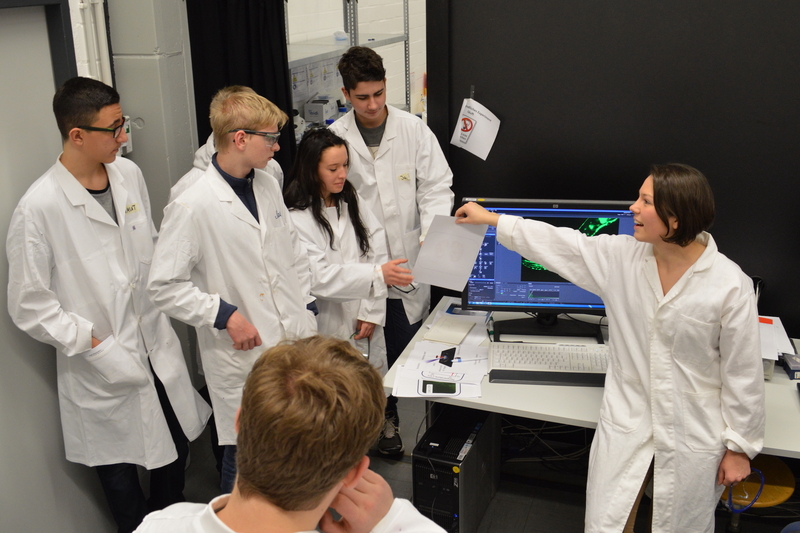 After lunch, the students enter one of the RESOLV laboratories. They visit the group of Jun.-Prof. Simon Ebbinghaus, who investigates protein aggregation using fluorescence microscopy. Usually, one PhD student in Ebbinghaus group presents his/her research on protein aggregation in model cells, and introduces the students to the fluorescence microscope and how to operate it manually and via computer. Most importantly, teenagers get a chance to ask questions concerning science, how to become a scientist and life in academia. At the end of the day, the students return to the Alfried Krupp School Laboratory. They watch and evaluate their movies, trying to make a fair and honest judgement whether they have performed and presented convincing inquiries. It turns out that many would have wanted to be more rigorous. But they all agree that theirs was only a first step on the long and winding road to becoming a scientist. Hopefully, they’ll remember that day, when they look through an ocular at something puzzling and thought: “That’s funny…”. The school laboratory project has been offered, booked and evaluated since the beginning of 2015. So far, eight groups with about 170 students have participated in the project. 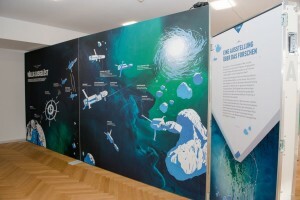 Students from regional and national schools as well as high-achieving students (“Chemie-Olympiade”, “Biologie-Olympiade”) have taken part in the initiative. We continuously evaluate the program by asking participating students, teachers and science educators for their opinions. The students particularly like the opportunity to carry out their own inquiries, they enjoy making videos about their experiments and they highly value the chance to see and talk to a real scientist. The project will continue to change if necessary as the main priority remains to keep the focus on research. Braun, S., Strippel, C. G., Sommer, K. (2016). Naturwissenschaftliche Erkenntnisgewinnung in Schüler-Videos. Proceedings of the Gesellschaft für Didaktik der Chemie und Physik. Berlin: Lit Verlag. Strippel, C. G., Tomala, L., & Sommer, K. (accepted). Klappe, die Erste! 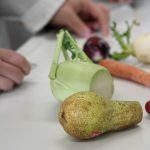 – Schüler produzieren eigene Experimentiervideos. 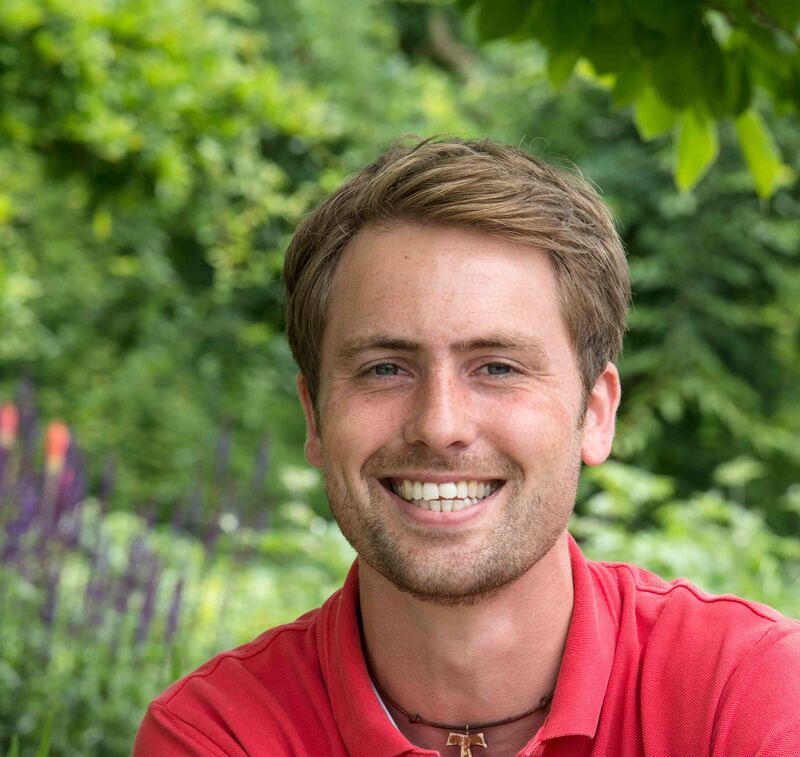 Mathematisch-Naturwissenschaftlicher Unterricht. 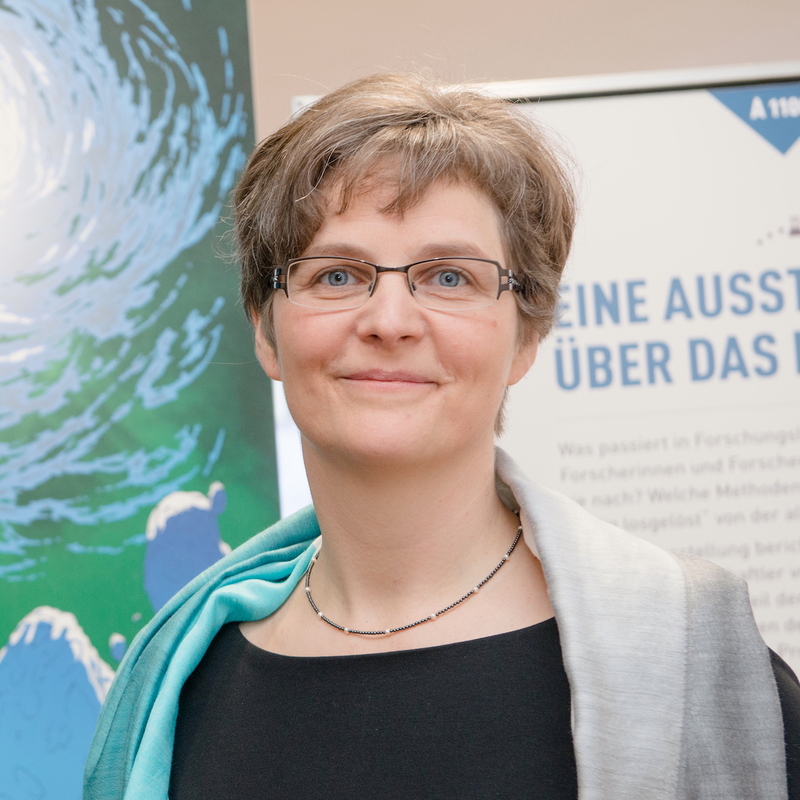 Katrin Sommer is Professor of Chemistry Education at the Ruhr-University since 2004. 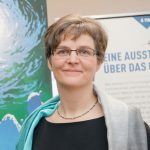 She is also head of the Alfried Krupp-School Laboratory since 2012. She has a 1. Staatsexamen in Chemistry and Biology from Leipzig University (1995), a 2. Staatsexamen (1997) and a PhD in Chemistry Education from Nuremberg-Erlangen University (2000). She was recently presented with the Award from the German Polytechnik Society for the parent-child-project KEMIE.